What "cloud" really means is using Internet services for file sharing, email, document sharing, etc. Rather than storing files on your local network, the files get stored back up on the remote server. The remote server is maintained by the cloud services company. Email has been used this way for years: you purchase email hosting on a monthly basis and never think about the server housing its contents. All of that server side storage is done remotely through an Internet connection. Cloud services are generally cheaper and the costs to implement and maintain are much lower than housing your own internal server. An in-house server is good for those types of systems where you want to keep your data on site, within your own business network. A good example is a hospital which houses its own data center. Some services may be used online, but those services that require 24/7 access are maintained on campus. Unless you have redundant Internet connections, there is always a possibility you can lose your connection. Additional costs are associated with housing a server; you need to pay for the hardware, keep backups of it, and hopefully have off-site redundancy in case of a fire/flood/etc. The advantages of owning a server in-house include minimal downtime, and better application performance and speed, (depending on the type of applications you are using. ) If its important for you to control your own system and have the data at your place of business, owning a server may be the way to go. The disadvantage is the costs to maintain (including back ups, up keep, security, end of life, etc) for the server. You also need to make sure you have redundant power in case of a power failure. Usually, this is minimalized by purchasing a UPS that the server plugs into, as well as the regular power from an outlet. Do any of these systems hold confidential data which needs extra security or encryption? What are your up time requirements? Is minimal downtime acceptable or unacceptable? Can the systems be accessed in-house and remote, or are they only accessible to be accessed in-house? Are there hidden costs or fees associated with the cloud computing services? Be sure to ask about maintenance contracts and the type of technical support available. 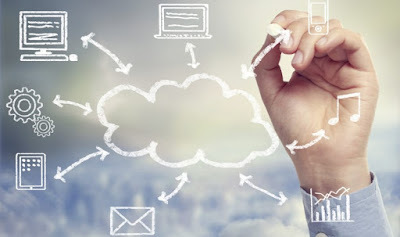 What are the hardware/software requirements for accessing the cloud computing services? Some cloud companies offer a package that addresses each solution, or you can choose bits and pieces of each. As far as housing your own server goes, one modern day server would be sufficient to manage several types of small business applications. Nicole Dyess runs Geeky Moms, a business devoted to inspiring women to use technology to their advantage. Join the free Geeky Moms community and unleash the geek!